BlackwaterBLUE from monkster.com: Alternative swap offer for Liverpool’s Raul Meireles? 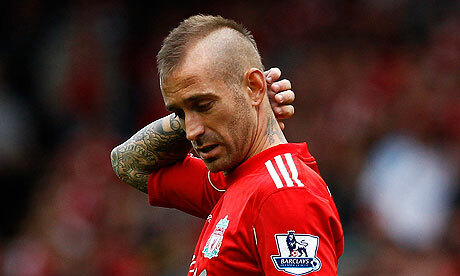 Alternative swap offer for Liverpool’s Raul Meireles? Chelsea may make a counter-offer to Liverpool’s bid to swap striker Daniel Sturridge for midfielder Raul Meireles, by offering Salomon Kalou instead. Andre Villas-Boas sees the 28-year-old as a younger alternative to Frank Lampard and hopes the Portuguese international can add more creativity and direction to Chelsea’s midfield. Liverpool were willing to let him go to one of their rivals as long as hot-prospect Sturridge came in the opposite direction. But Villas-Boas has been impressed by the 21-year-old and will include him in his first-team plans this season. The Chelsea manager will instead offer Ivory Coast international Kalou instead who has fallen out of favour after a string of indifferent displays in pre-season and in the opening fixtures of the Premier League. Reds fans do not want to see Meireles go as he was voted PFA Fans Player of the Year last season, but manager Kenny Dalglish needs to offload before he can enter into the market again.